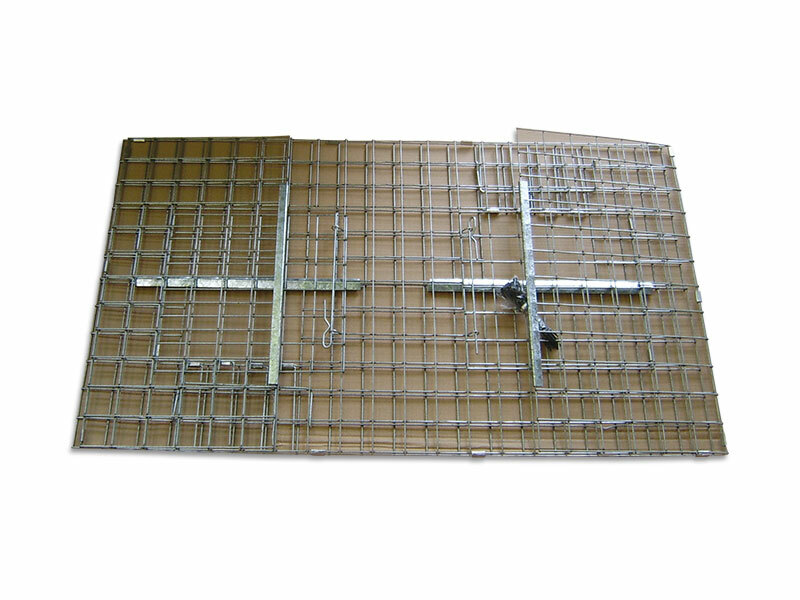 A live catch trap constructed using square galvanised mesh. Entrances with easy swing bob wires and a top access for removing captured birds. Comes flat packed and complete with vinyl base for easier pre-baiting etc (not shown).